Although 18 is the age at which most Americans gain the legal rights and responsibilities of an adult, whether you’re considered an adult or a minor at that age tends to vary based on the situation. You’re old enough to vote — but you can’t buy beer. Similarly, having a FICO credit score between 600 and 650 is a bit like being 18; whether your score is considered a fair score or a bad one will vary by the situation (as well as the specific makeup of your credit profile). In other words, a credit score between 600 and 650 is on the borderline between prime and subprime credit, with your individual qualifications determining which credit cards and loans you can obtain. The type of credit card you can get with a 600 to 650 credit score will depend largely on your specific credit score and its nature, as you may have a 600 to 650 due to having limited credit or from having recent derogatory marks on your credit reports (late payments, etc.). If your credit profile leans more toward bad credit, you’ll likely need to stick with store credit cards, secured credit cards, or unsecured subprime credit cards. 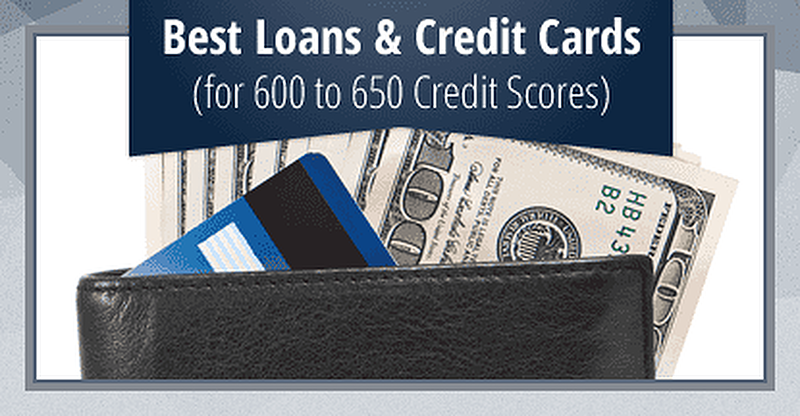 With a score more toward the fair end of the spectrum, you may qualify for select prime credit cards. If you’re unsure about qualifying for a particular card, most issuers allow you to check for pre-qualification or pre-approval. While pre-approval isn’t a guarantee of acceptance, it can be a good indicator. This process uses a soft credit check that won’t hurt your credit. When compared to the rest of the prime credit card market, this card isn’t the best of the bunch. It doesn’t offer purchase rewards, a signup bonus, or an introductory 0% APR deal like most of its competition. At the same, this card does have flexible credit requirements and no annual fee, making it an ideal option for consumers looking to build (or rebuild) their credit scores. New cardholders can start with a $300 credit limit, no deposit required. Although the initial credit limit isn’t large, making your first five monthly payments on time can unlock a credit limit increase. And Capital One is known to provide regular increases to consumers who use their credit cards responsibly. 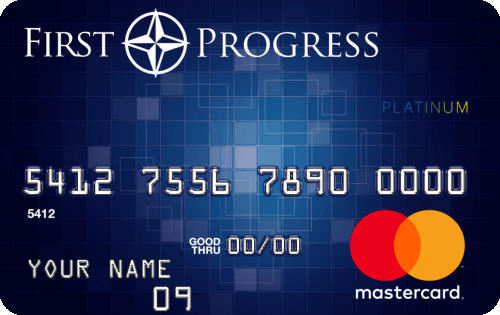 Given that some reviewers have reported being approved for this card with sub-600 credit scores, a score between 600 and 650 is not outside the realm of approval possibilities. If you’re unsure, however, you can check for pre-qualification before you apply. Fingerhut.com is a somewhat unique way to build credit. An online retailer hosting thousands of items from popular brands, Fingerhut specializes in helping consumers build their credit through the purchase of everyday goods. Depending on your credit profile, applying for a Fingerhut Credit Account may result in being approved for one of two account types: a WebBank/Fingerhut Advantage Credit Account or a WebBank/Fingerhut FreshStart Installment Loan. The WebBank/Fingerhut Advantage Credit Account is a revolving credit line that operates pretty much the same as a typical store credit card. It can only be used to make Fingerhut purchases, and balances that are carried from month to month will be charged interest fees. If you don’t qualify for a WebBank/Fingerhut Advantage Credit Account for whatever reason, you’ll automatically be evaluated for a WebBank/Fingerhut FreshStart Installment Loan. With a WebBank/Fingerhut FreshStart Installment Loan, you can finance a Fingerhut purchase of at least $50 with a $30 down payment. You’ll then make regular payments for six to eight months until your purchase is repaid. Regardless of which account type you obtain, your payments will be reported to the three major credit bureaus. This means that you can improve your credit score by making all of your payments on time and as agreed. If your credit profile is a little on the riskier side of the 600 to 650 range, then you may not qualify for a prime credit card, no matter how entry-level it may be. That’s where a secured credit card, like this one, can come in handy. As with all secured credit cards, you’ll need to make a deposit to open this card. The size of the deposit will vary from $49 to $200, based on your credit profile, but all new cardholders will start with an initial $200 credit limit. The security deposit you make to open a secured credit card is entirely refundable, and your full deposit can be obtained simply by closing your account in good standing (without a balance). Plus, this card charges no annual fee, though the APR is high enough that you’ll want to avoid carrying a balance. Perhaps the most intriguing thing about this card is that cardholders have the potential to qualify for an upgrade to an unsecured card as their credit improves. Capital One will periodically check your credit progress and automatically upgrade you when you qualify. Another secured credit card, this card has a $200 minimum deposit for a $200 credit. However, this card will also allow you to deposit up to $2,000 to receive a higher credit line; your total credit line will be equal to the size of your deposit. While this card charges an annual fee, unlike some of the other options on the list, it also has the lowest regular APR of any of the other options, which can be a boon for those who tend to carry a balance (though carrying a balance should be avoided when trying to build credit). This card has no minimum credit limit for approval, though you’ll still need to undergo a credit check when you apply. Some credit report red flags, such as an in-progress bankruptcy, may cause you to be rejected. As with all secured credit cards, your deposit for this card is fully refundable so long as you close your account with $0 balance. However, if you close your account without paying your balance in full or otherwise default on your credit card debt, your deposit will be used to pay the outstanding balance and any fees. Personal loans are one of the most flexible loan types, as they can typically be used for nearly any kind of purchase or financing need, including debt consolidation, medical bills, and car or home repairs. Additionally, personal loans are generally unsecured loans, meaning they don’t require a deposit or another form of collateral to obtain. All of this adds up to a loan that can be a challenge to obtain with a low credit score and/or high debt levels. That said, you will likely be able to qualify for a larger subprime personal loan or a smaller prime loan with a credit score between 600 and 650, depending on your specific credit profile and the amount you request. Online lending networks, like those below, can be a good way to compare a variety of loan offers to find the best match. A large online lending network, PersonalLoans.com has dozens of lending partners from all 50 states, increasing the chance its users can find a compatible lender. Depending on your needs and qualifications, you can obtain loans from PersonalLoans.com lenders in amounts from $500 up to $35,000, and loan terms can extend from three months up to 72 months. Receiving a decision takes just minutes through the easy online application. Although specific credit and income requirements will vary based on the individual lender, certain credit report red flags should be avoided, including active bankruptcy proceedings and currently defaulted accounts. Turnaround time for a loan will also vary by lender, but PersonalLoans.com advertises that funds can be obtained in a little as one business day, though some loans may take longer to disperse. BadCreditLoans.com is an online lending network that specializes in helping consumers with low credit scores find lenders with flexible credit requirements. With dozens of lending partners from around the country, BadCreditLoans.com can help fair- and bad-credit borrowers connect with multiple lenders to compare loan offers. Through BadCreditLoans.com, borrowers can obtain loans with amounts ranging from $500 up to $5,000 for the most qualified borrowers. Loan terms extend from three to 60 months and funding can be obtained in as soon as the next business day. Thanks to its online application, BadCreditLoans.com can help users find suitable lenders in around five minutes, with quick decisions so you know where you stand. Once you’ve selected a lender through BadCreditLoans.com, you’ll be taken to the lender’s individual website to see the full loan terms. Be sure you read through all the terms before accepting the loan agreement to avoid any potential surprises down the line. Given that most auto loans are secured by the vehicle they finance, auto loans can be easier to obtain with a borderline-bad credit score than certain other loan types, particularly if you also have a respectable down payment or valuable trade-in vehicle. That said, dealers are often the most flexible of auto lenders, as they are just as interested in selling the vehicle as they are in financing it for you. Of course, dealers often have higher interest rates than are typically found at banks or credit unions, so be sure to compare rates and fees. While a credit score between 600 and 650 may net you a loan from a flexible direct lender, you may qualify for a larger loan from a local dealer. One of the easiest ways to find nearby dealers with flexible credit requirements is through an online dealer network like Auto Credit Express. With dozens of dealer partners across the country, Auto Credit Express can help nearly any potential car buyer find a match. While there is no minimum credit score requirement, however, you will need to have a minimum $1,500 monthly income to qualify for a loan from an Auto Credit Express dealer. The quick online application means you can typically find a local dealer within minutes through Auto Credit Express. Once you’ve selected a dealer, you’ll be contacted by a dealer representative to continue the process. In most cases, you’ll visit the dealer to select a vehicle from the dealer’s inventory; if the dealer doesn’t have a vehicle that meets your needs, you’ll likely need to choose another dealer. After selecting a vehicle, you’ll go over the loan agreement with the dealer and complete your purchase. Of all the consumer loans out there, home loans tend to have the most rigid credit requirements, particularly traditional or conventional mortgage loans (mortgages not insured by a government agency). With a score below 700, your best bet for finding a home mortgage will likely be with an FHA-insured mortgage backed by the Federal Housing Administration (FHA). These loans have low down payment requirements and impose no minimum credit score qualifications. At the same time, while the FHA doesn’t impose a minimum credit score requirement, individual lenders may set their own standards for approval. Additionally, not all lenders will offer FHA-insured mortgages, so you may need to shop to even find a lender, let alone to compare rates (which you should also do). LendingTree.com is an online lending network that helps connect borrowers with lenders for a variety of mortgage types, including new purchases — both conventional and FHA-insured loans — refinancing, and home equity loans. LendingTree’s easy online application can be completed in minutes, providing up to five offers from suitable lending partners in the proverbial blink of an eye. Given that home mortgage loans are secured loans in which the financed property acts as collateral, the purchase price of the property, your total down payment, and your current bills and income will all factor into whether you are approved for a mortgage loan. Furthermore, once you’ve found a lender, the secured nature of mortgage loans means you’ll need to go through a few more steps before the loan process can be completed. This can include both an appraisal and a home inspection to ensure the property is safe and of equal (or greater) value to the purchase price. When you’re young, turning 18 can feel like receiving the keys to the kingdom — or, at least, part of the kingdom. But while new opportunities are unlocked at age 18, not even hitting “adulthood” opens every door; it will take longer for some things to become available. Similarly, having a credit score between 600 and 650 unlocks a number of credit doors firmly closed to consumers with lower scores. However, some credit products will still require more work. To continue on the credit journey and unlock even greater credit opportunities, you’ll need to keep up the work of building your credit score and history. With time and responsible credit use, few credit products will be out of your reach.